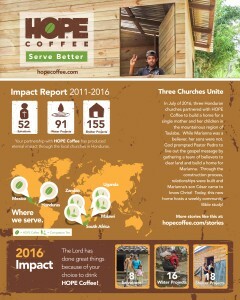 Our team is amazed at the ministry the Lord continues to do every year through HOPE Coffee! 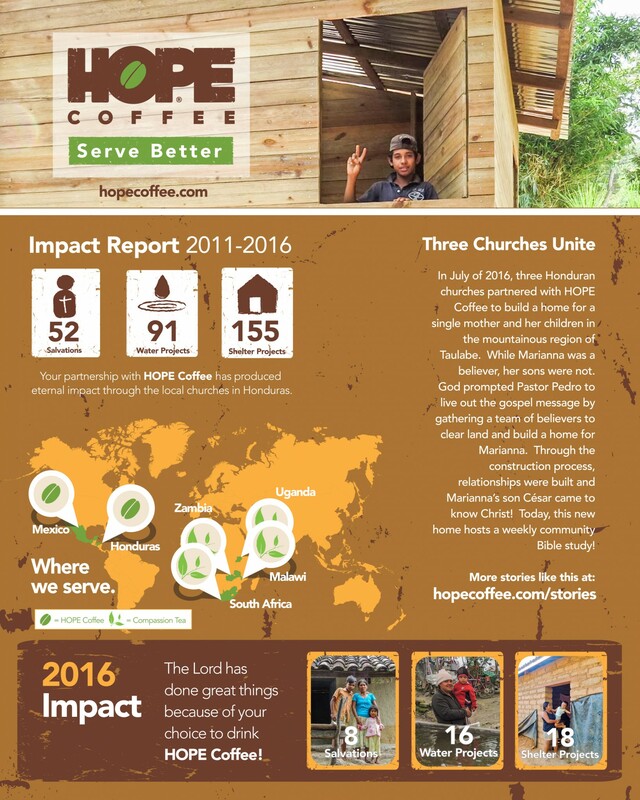 This report provides only a small glimpse of the personal impact made as a result of many people, churches, and organizations choosing to buy and serve HOPE Coffee. Thank you for your partnership in the gospel by drinking HOPE Coffee!